Every member of Ethnos is an essential part of the life and mission of the community; a true spiritual community has everyone contributing their God given gifts and passions. Some are called to organize, lead, and oversee particular areas of life and ministry - at Ethnos, this is the Staff Team. 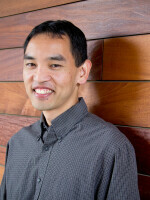 Scott grew up as a 5th generation Chinese American in the church that his father led. There he met his wife Lydia, who is also Chinese American. Scott is a native southern Californian, and his search for a church that embraced both his cultures led him & Lydia to Ethnos Church, where Scott served first as a resident intern and now as a Pastor. 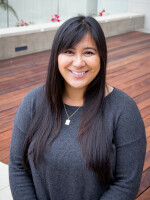 Joy is a 2nd generation Filipino-American who was born in California, but grew up in Hawaii. There she met her husband Reyn, who joined the Navy which eventually led to them moving to San Diego. Because of Hawaii's diversity, it was important for them to find a church that embraced cultures and peoples of all kind. They googled multi-ethnic churches, discovered Ethnos, and have been attending ever since! Eric, born in Birmingham, Alabama, spent most of his early years living between Lake Charles, Louisiana and Birmingham. As a musician, his pursuit of multiethnic worship music has taken him to different countries throughout the world. 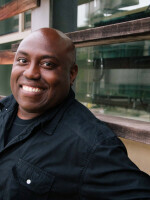 His journey eventually led him to San Diego, California where he became Worship Director at Ethnos. 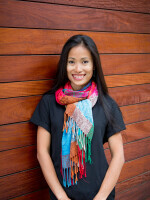 Kirsty grew up in the Philippines and moved to Jordan to work with children. While there, she met her husband Daniel. Together they moved to Turkey and, for the sake of their kids, eventually relocated to San Diego where they connected with Ethnos Community Church and where Kirsty became Children's Director.